TravStar1 Point Of Sale SystemManager's Work Station Inventory ControlHow Do I Receive an EDI Invoice? How Do I Receive an EDI Invoice? This lesson will teach you how receive an invoice electronically. 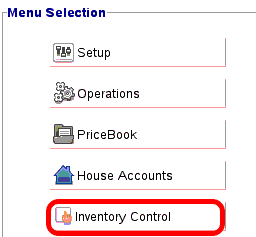 From the main menu, click on the "Inventory Control" button. Click on the "Receiving" button. 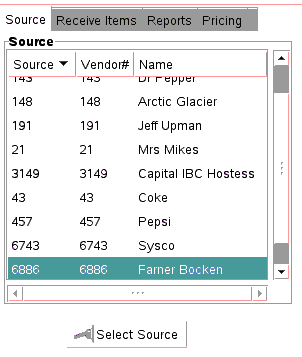 Using the scroll bar to the right of the Source menu, click on the vendor you are receiving. Then click on the "Select Source" button. Locate the file from the list. 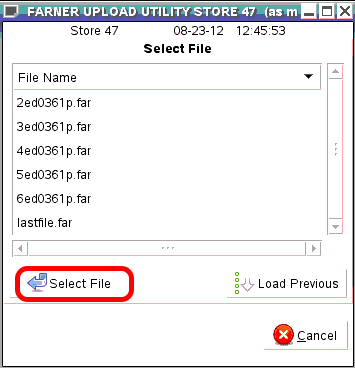 Click on the file name and then click on the "Select File" button. Note: The last file opened will be saved as lastfile in this list. Locate the invoice from the list. 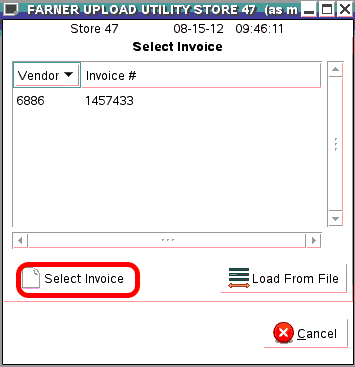 Click on the invoice number and then click on the "Select Invoice" button. A list will appear containing all PLU's in the invoice. Click on the "Receive All" button. This will make the received quantity match the delivered quantity. Note: Click on the "Edit" button to make individual changes to a PLU received quantity or to manually receive each item. Once all items are ready to be received, click on the "Accept P.O."button. 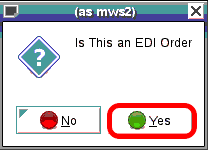 Click on the date you want to post the receiving order for, then click on the "OK" button. 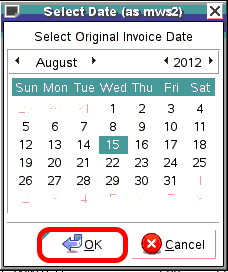 Type in the Invoice Number, then click on the "OK"button. 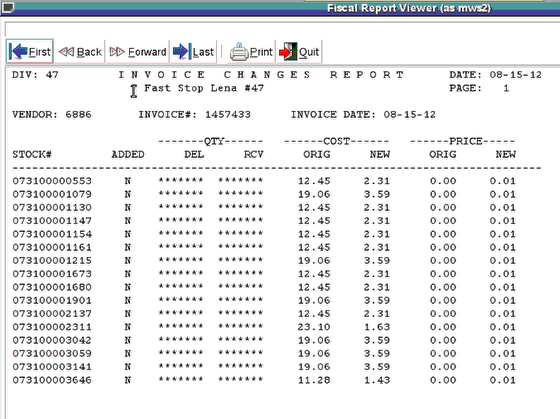 The Invoice Changes Report will automatically open after you have received the invoice. You have the option to print this report or you can quit. Prev: How Do I Setup a Vendor for EDI? Next: How Do I Add a House Account?